Ambitious Wolves boss Nuno Espirito Santo insists there is no limit to his team’s potential. 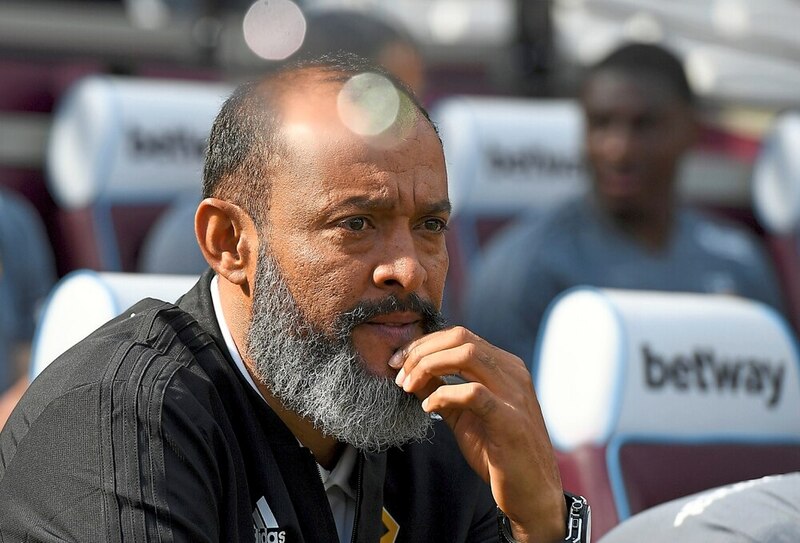 Wolves are aiming to stamp their mark on the Premier League after a six-year absence in Nuno’s second season in charge. They have earned five points from their first four games so far, including a 1-1 draw with champions Manchester City, which has impressed Nuno. And the 44-year-old – who has been linked with the Manchester United job by German newspaper SportBild – believes Wolves can only get better as the season progresses. “We will never know the full potential of this team,” said Nuno. Wolves were boosted going into the international break after achieving their first win of the season, with a 1-0 victory over West Ham. Now they are out of action for two weeks with the international fixtures seeing 10 Wolves players called up for duty. And when they return Nuno revealed he wants his players to work even harder as he aims to establish Wolves in England’s top flight. He said: “This team has character, the boys have this character, the club has this character. We want to achieve things and you have to believe to do so. Wolves’ will host Burnley at home on September 16 in their next Premier League game.